The home at 7122 Tuxedo is where Stephen Henderson's family lived when he was born. It was where Henderson's father, Mose Henderson, lived until he died in the mid-1980s. And in 2012, Henderson found it empty, abandoned, and in distress - just like tens of thousands of other houses in Detroit. Henderson is the Pulitzer Prize-winning columnist and editorial page editor for the Detroit Free Press, and the local host of Detroit Today on WDET, Detroit's public radio station. Henderson's determination to find solutions to the city's complex issues - solutions designed to make life better for the people who live in Detroit's most challenged neighborhoods - led him to create The Tuxedo Project. The Project's first aim was to renovate the house at 7122 Tuxedo, then to work, house by house, on improving the block, and the surrounding neighborhood. In 2015, a group of Henderson's classmates from University of Detroit Jesuit High School joined the effort, created a non-profit to support it, and began raising money to make it happen. In 2017, the renovation of the house at 7122 Tuxedo was completed, and the initial phase of the project got going. 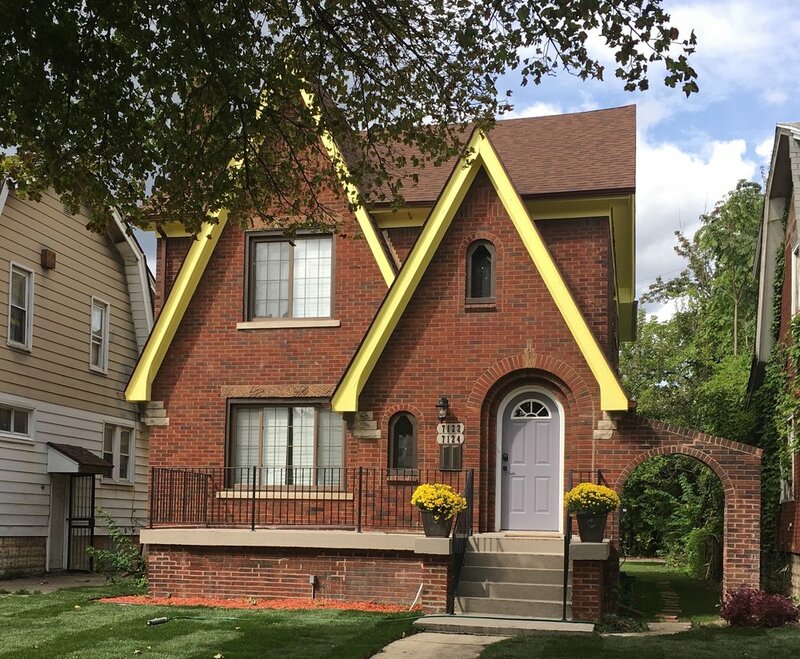 The project transformed the house at 7122 Tuxedo in Detroit, Michigan, into a writers' residence and literary center, in partnership with Marygrove College and the John L. and James S. Knight Foundation. Rose Gorman, a former program director at the New York Writers Coalition, was named the inaugural Tuxedo Project Resident Fellow in spring 2017. She lives in the house, teaches at the college, runs the literary center and draws connections between the academic and service work at the college and the needs in the neighborhood. 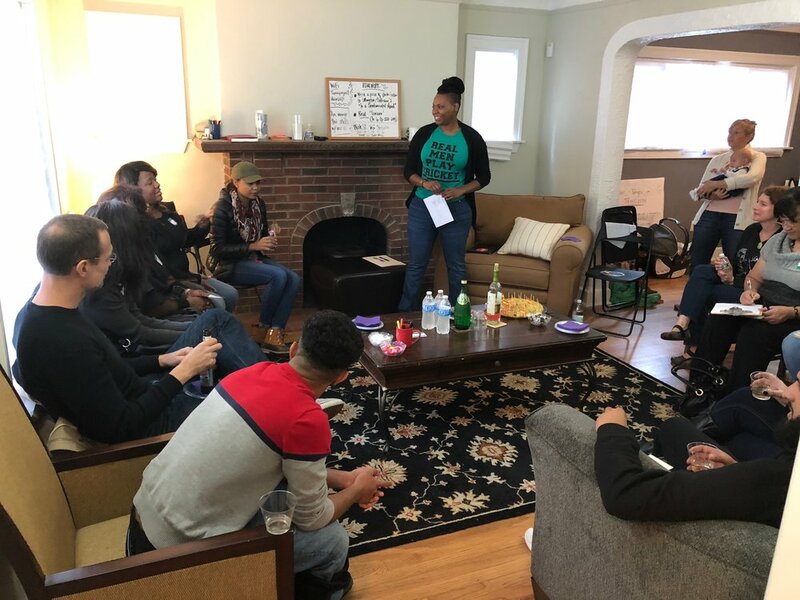 The Tuxedo Project Literary Center opened in September 2017 and hosts workshops, book readings, author visits and other events. It is also helping to build community by providing space for meetings and other organizing activities on the 7100 block of Tuxedo. It is open to the public. The Tuxedo Project will also improve the other blighted properties on the block - 17 of the roughly 40 properties are distressed - in cooperation with the neighbors who live there, and who want and deserve better. 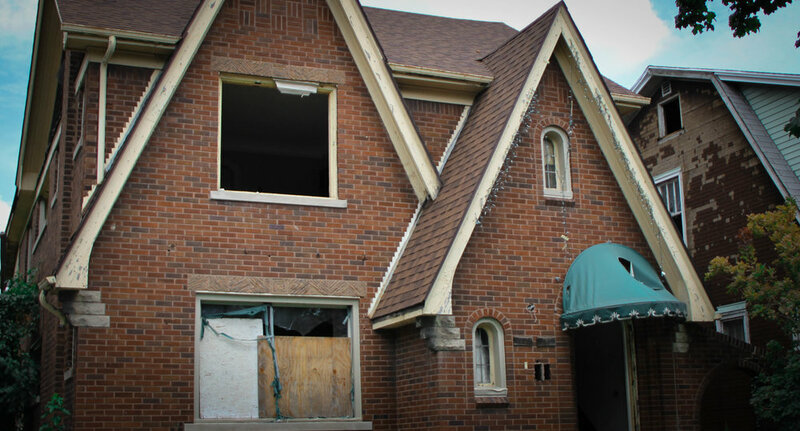 After 7122 Tuxedo was renovated, the Tuxedo Project convinced the city to demolish a house at 7208 Tuxedo. And the project purchased the house at 7116 Tuxedo in September. Demolition is scheduled for October, and the site will become home to an expanded public space for the literary center. Eventually, the project will expand its efforts beyond the 7100 block of Tuxedo, to neighboring blocks and streets, leveraging positive momentum far and wide from the door of 7124 Tuxedo. In its first year-and-a-half, the project raised more than $340,000 in direct and in-kind contributions. The project has support from the John L. and James S. Knight Foundation, Patronicity through the Michigan Economic Development Council and the Michigan State Housing Development Authority, the Michigan Regional Council of Carpenters and Millwrights, and more than 100 individual donors. Construction on the house at 7122 began in March of 2017, and the residence and literary center opened in late summer. The idea is simple: If one person looks back to where he's from, and decides to take action, what might it inspire? What's the power of one to become many, of the small to become large, of a symbolic gesture to become significant, in a city so desperately in need of collective will to make real change?